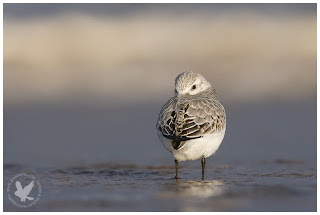 I went over to the UK to host several workshops on Grey Seals and Red Deer recently and when i am on the beach to photograph the Grey Seal i am always on the lookout to spot these lovely little birds too. 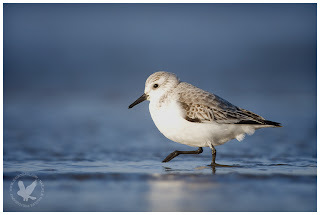 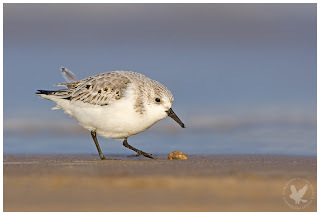 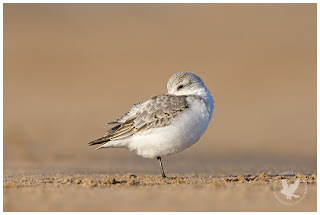 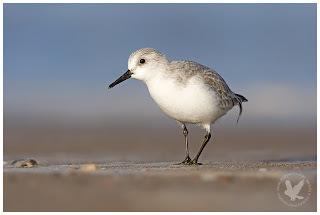 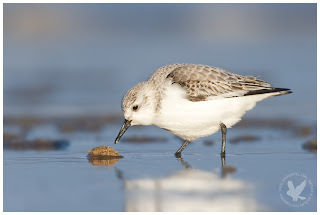 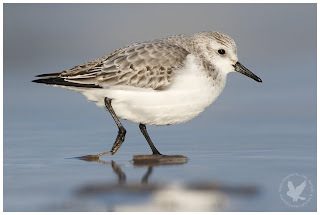 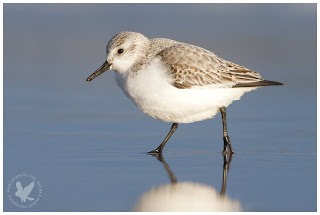 These are Sanderling (Calidris alba) wich we call Drieteenstrandlope in The Netherlands wich is translated as "three-toed-beach-walker". 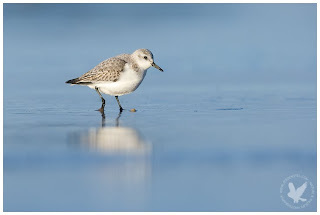 They are agile and nervous little birds and getting them running by is always a huge challenge but one i am more then up for.